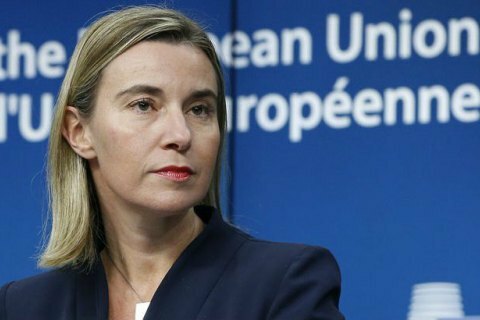 Federica Mogherini has indicated Russia’s obligations in the Minsk agreements. The High Representative of the European Union, Federica Mogherini, has called for immediate and unconditional release of the Ukrainian, Nadiya Savchenko. "Despite many calls, Ukrainian pilot Nadiya Savchenko was sentenced yesterday. We continue to add our voices to the many others worldwide calling on the Russian authorities to immediately and unconditionally release Nadiya Savchenko, on humanitarian grounds, and in keeping with the "Package of measures for the implementation of the Minsk agreements" and the commitment therein to release all hostages and detained persons related to the conflict in eastern Ukraine," the statement says. This is also the case for all the other Ukrainian citizens illegally detained in Russia, including Oleh Sentsov and Oleksandr Kolchenko, that need to be guaranteed a safe return to Ukraine. As reported before, on 22 March, the Donetsk city court in Russia's Rostov Region sentenced Nadiya Savchenko to 22 years in a penal colony, having pronounced her guilty of murder, attempted murder and illegal crossing of the border into Russia.